Browse to your WordPress AutoMall Dashboard. 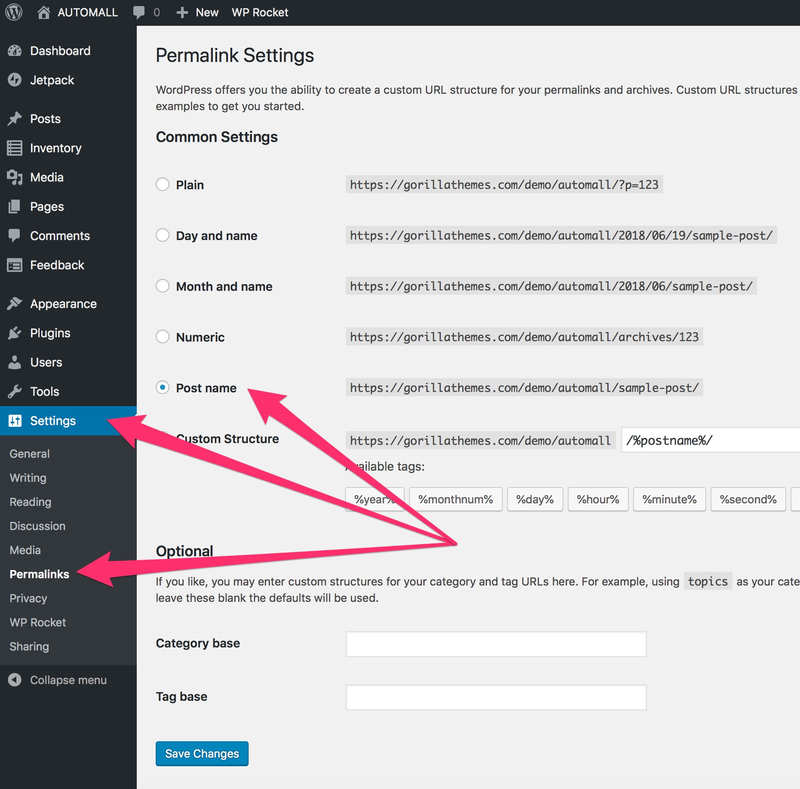 Click on Settings => Permalinks top open your Permalinks module. Select Post Name as your permalink and save changes.